King Tut statue, made from polystone and all handpainted. Born in the 18th dynasty, circa 1332 BC – 1323 BC, King Tut was known as the Boy King as he died at just 19 years of age. After reigning for just 10 years. 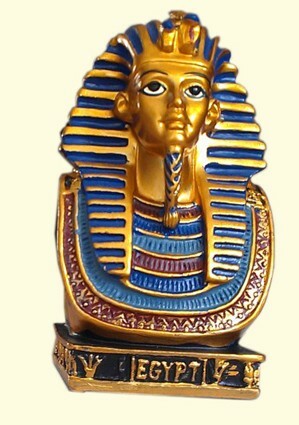 King Tut remains the popular icon for ancient Egypt. The discovery of his tomb opened many of the mysteries of ancient Egypt leading to a strong and non depleted interest in the amazing sciences and knowledge of the ancient Egyptians. 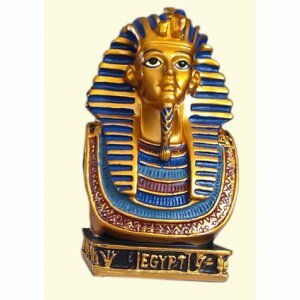 King Tut is one of the most popular Egyptian Pharaohs of the modern world.